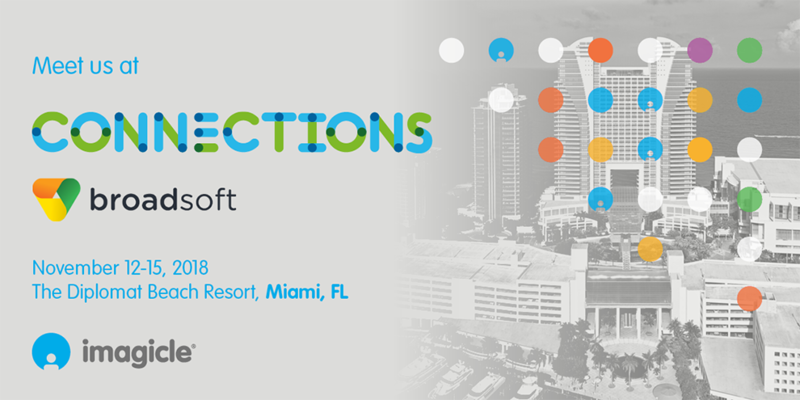 The next November 12-15, 2018 will take place the Broadsoft Connections 2018, hosted in Miami at the Diplomat Beach Resort. Connections is one of the largest unified communications industry events in the world. With more than 1,300 members of ecosystem from over 32 countries including industry experts, service providers, customers and partners at this unforgettable event. Will take place lots of premier keynotes, education, training, entertainment and networking. A great occasion to meet Imagicle team and deepen all the opportunities in the Broadsoft world, strenghten the relationship and display the latest innovation released for the Imagicle ApplicationSuite.